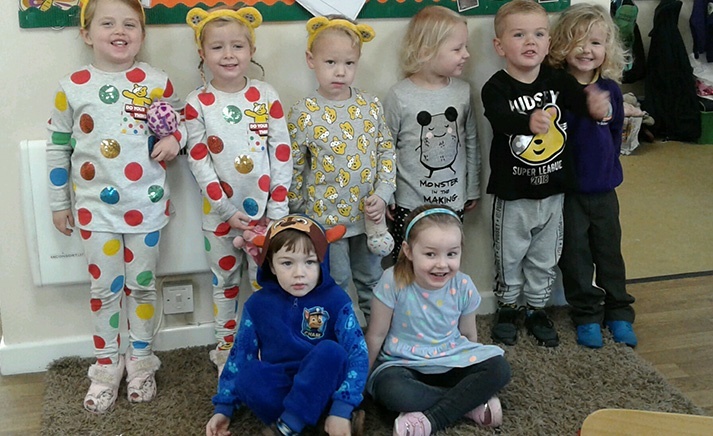 This week in Whitchurch we have been raising money for Children In Need. 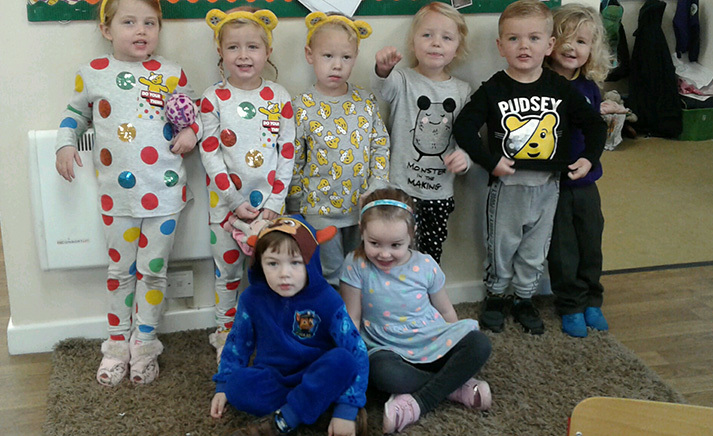 Pre-School have been dressing up in spots or pyjamas to help raise money and we've had some very exciting competitions running all week; ‘Guess the name of the teddy bear’ and ‘Guess how many sweets are in the jar’. 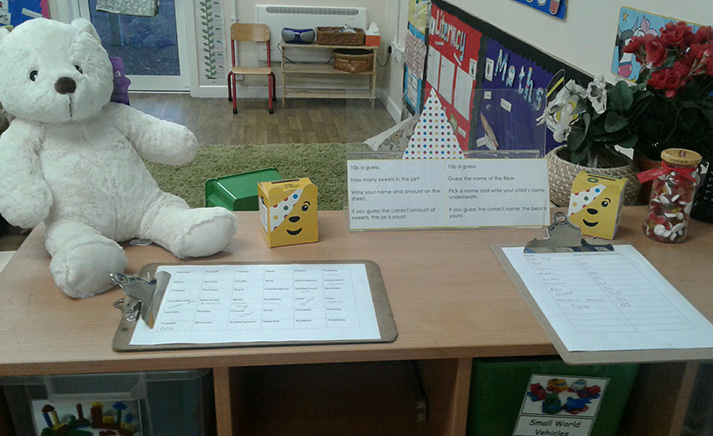 The winner will be announced later on today!